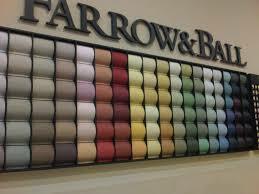 We prefer to use Farrow & Ball paint for our bespoke hand painted kitchens. 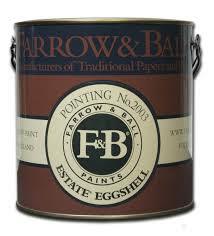 This particular paint is their Estate Eggshell, which was developed to replace their oil based paint for woodwork. Being water based it dries very quickly, this is a significant advantage over oil-based paints as they take so long to dry especially on colder temperatures that the surfaces can collect a lot of dust particles which can ruin the finish of the kitchen cabinets. Our cabinets are supplied from the workshop spray primed, and we hand paint minimum of two coats depending on the coverage of the particular colour. We then finish our paintwork with a coat of clear lacquer which gives a smooth and robust finish and is perfect for cleaning. The fact that both the paint and lacquer are water based this speeds up the process and provides an excellent tough dust free finish. We don't rush anything at Teddington kitchens we use these materials because they are better, to paint an average size kitchen it will a take us at least a week and larger ones much more.